The Personal Statement: How Personal Is Too Personal? How do you, one of thousands of applicants to a given school, make your story stand out? 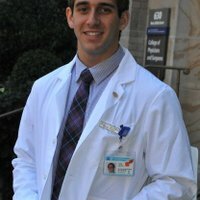 While GPA and MCAT scores are seen as indicators of your ability to commit to the academic rigor required by medical school, the personal statement is your time to reveal who you are, why you’re applying, and what makes you unique. Over a decade of working with students and reviewing applications has given me the honor of hearing countless student stories. The breadth and diversity of the human experience is spectacular, and this is no different for medical school applicants. The greatest trials and tribulations in our lives often make for the most interesting and provocative subjects for the personal statement. However, careful consideration has to be given to not only WHAT to include, but HOW it’s expressed. Most of us have experienced or witnessed emotional turmoil, physical trauma, or difficult relationship dynamics that have shaped our lives. How we have dealt with, moved past, or learned from these events can be a great way to “hook” an admissions committee with a provocative and unique narrative. After all, in the setting of many qualified applicants, we want to add our own distinctive element to our personal statement to keep the reader engaged. However, I often meet with students struggling with exactly how much personal detail to include in the personal statement. Sensitive details must be framed correctly in order to get the point across while making sure the admissions committee knows these issues have been resolved, and that the applicant has no lasting and limiting psychological issues as a result. Unfortunately, physician suicide and overall mental health has been and continues to be a significant health concern. The rigors of medical school, residency training, and clinical practice present unique personal and professional pressures. Therefore, we must carefully consider how we frame our story, as the admissions committee will be on the lookout for potential “red flags” that would suggest an inability to cope with significant stress. Whether it’s fair or not, we must be conscious of the fact that our perceived mental stability is important. I don’t want applicants to shy away from telling their personal story in a way that is sincere and unique. However, how that story is told is important. If you’re describing past events that explain a weakness in your application, be careful to express with concrete detail that this was a temporary setback and has been fully resolved. In the case of medical conditions, especially rare ones or disorders that may not be fully accepted by the medical community, consider framing symptoms and illness as an experience that was acute rather than chronic in nature. Most importantly, make sure that you focus on what you learned from these experiences and how they inspired you to new goals, rather than dwelling on the negative aspects. Next article The College Application Essay by Jay B. Previous article Do I have to be a science major to be pre-med? by Daniel S.